I have had the pleasure of experiencing several generations of AMA’s ships and what blew my mind was the small details in the evolution of their product. In the cruise space it is a lot less expensive to knock out cookie cutter ships with the same design, engineering and architecture, than to continuously make changes and improvements. Rudi simply won’t let this happen. He is involved in every single step of the building process for every vessel and it shows. Their ships are designed with their passenger needs and comfort always in mind. 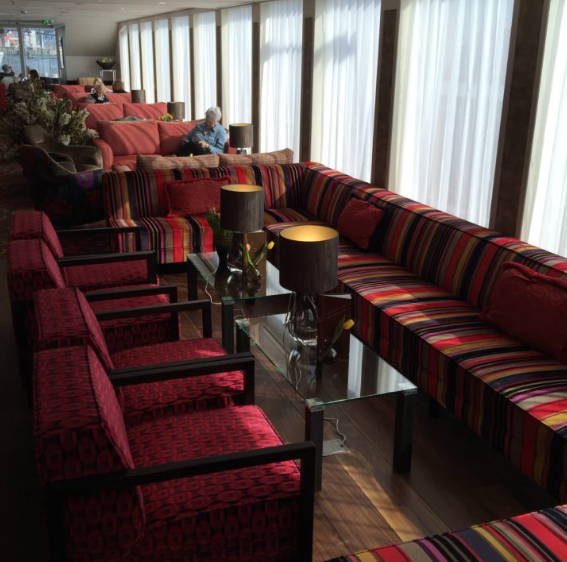 The living room onboard most AMA Waterways vessels. It was my favorite place to relax, read the paper and enjoy a glass of wine. There is a maximum length and width that a river cruise vessel can be to make it through the locks of the major European rivers. All of the major brands have ships that are the same size, but what they do with them greatly varies. 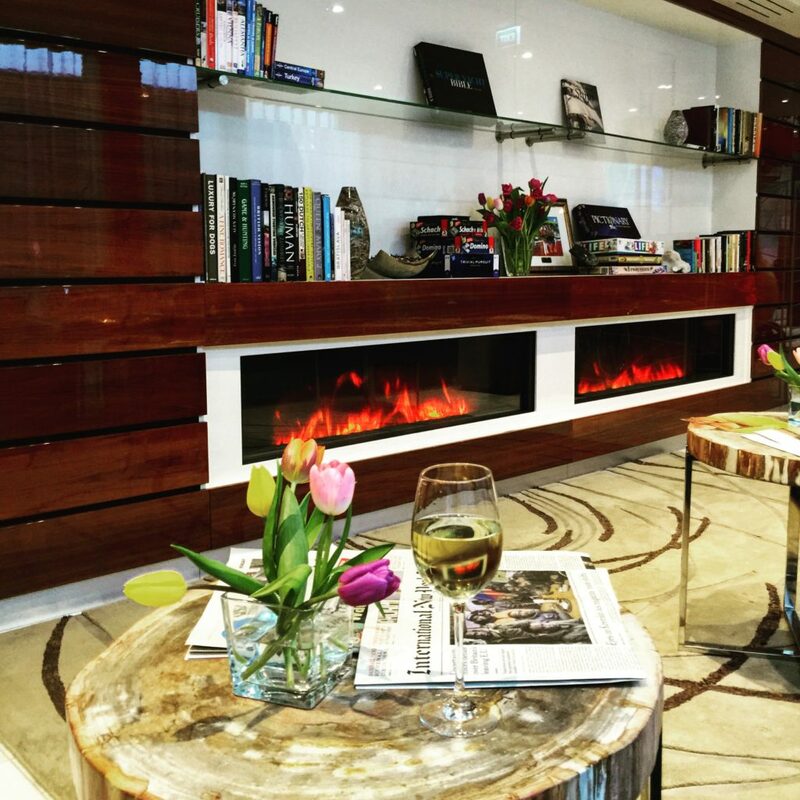 The main lounge is where you can find the bar, comfortable seating for lectures and briefings and to socialize. You can order complimentary tapas throughout the day and in in the evening the space lends itself to dancing and relaxation. It makes sense that the fewer passengers that you put on the same size ship the more amenities and the larger cabins you can have. AMA puts almost 30 fewer passengers on their 130 meter ships as Viking does and it makes a huge difference. This allows them to have a fitness center, small spa, Chef’s Table restaurant, a pool and some of the largest staterooms in the industry. 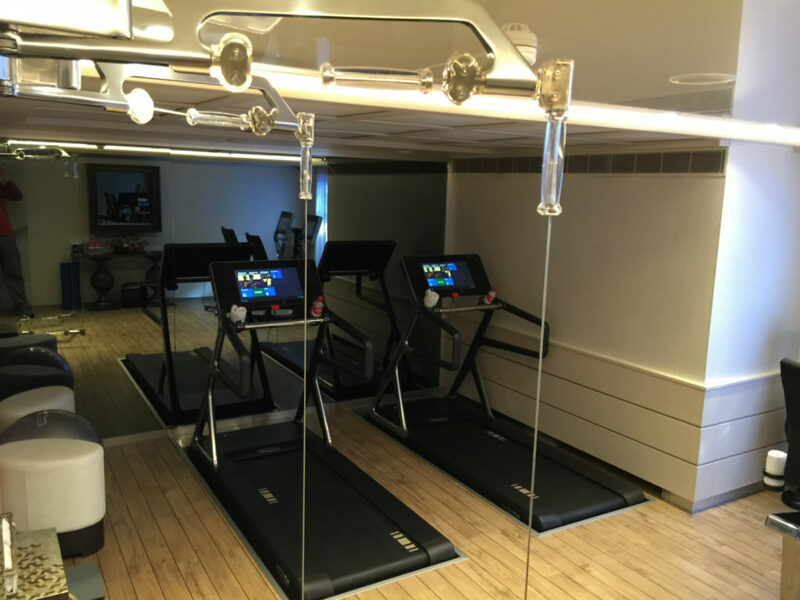 Having a fitness center at all onboard a river vessel is a luxury amenity. I loved how they set the equipment into the ground to absorb the machines vibrations and so tall people like myself can fit! Due to the nature of my sailing the ship was significantly fuller that normal, yet I never once felt crowded. A few times a lunch when the excursions returned at the same time there was a small line for the buffet, but it was nothing compared to what I experienced in the same situation on Viking. I always was able to find a great seat in the lounge and on the sun deck. The heated pool with a swim up bar was a hit! 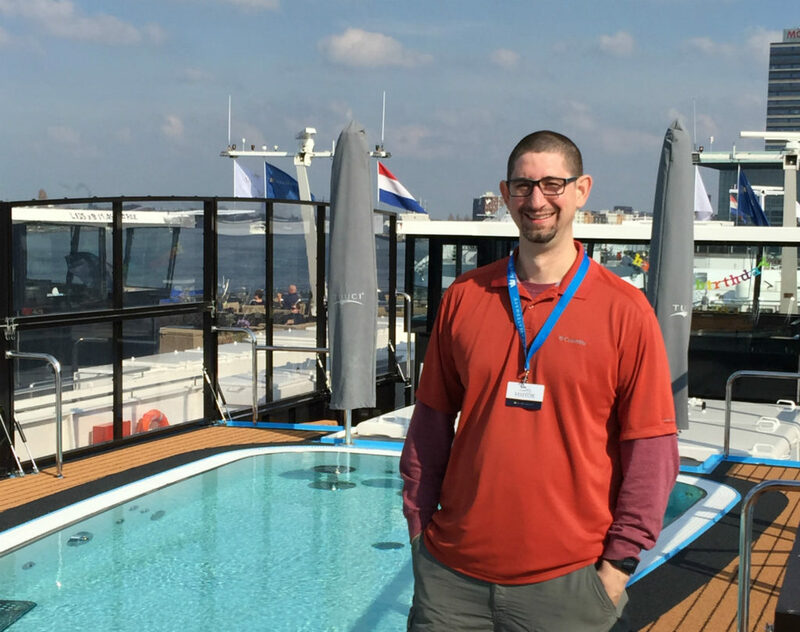 Due to size restrictions, all river cruise vessels are essentially set up the same way with a sun deck, 2-3 decks with cabins and a Lounge and Dining Room in the front. That is where my comparison stops with AMA. Their ships are elegant and they look after the little details. The furnishings were warm, comfortable and inviting. I loved sitting in the library with the soft couches, faux fireplace and several current English newspapers daily. On the first day I felt at home.